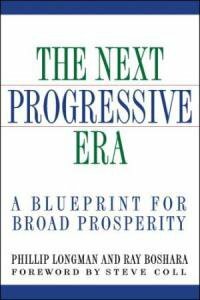 The Next Progressive Era provides a blueprint for a re-empowered progressive movement and describes its implications for American families, work, health, food, and savings. A century ago, Progressives faced an eerily familiar set of challenges, including vast income inequalities, high levels of middle-class debt, concentrated corporate power, deep financial panics, environmental degradation, and the deteriorating quality of family life. They met those challenges in large part by linking their reforms to the Jeffersonian ideal of the small-scale producer--the so-called yeoman tradition. The Next Progressive Era argues that modern-day Progressives must return to their roots by protecting families from the social and environmental ravages of global capital. In doing so, the authors maintain, reformers would do well to rediscover the virtues of thrift, a long-neglected Progressive value that stressed the conservation of environmental as well as financial resources. Despite the subtitle, this is not a lofty blueprint but an astute policy guide, communicating the urgency for reform in health care, banking and transportation without resorting to shrillness or stridency. 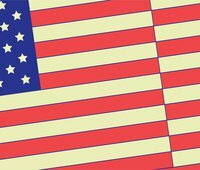 In this well woven-blend of history and policy pitching, Longman and Boshara maintain that a new Progressive era is at hand. They deftly explain the political, economic, and social shifts that have led to this moment. More important, they offer a sensible policy agenda and a vigorous political case for their ideas predicated on time-tested Progressive values but crafted for the daunting challenges of today. Every page of this provocative book contains a compelling historical insight or fresh idea. Some ideas are old--"the yeoman ideal." Some are new--"personal fabricators." All tap a spirit of reform and renewal that lies deep in the marrow of America.